Earlier I uploaded an unboxing video to my YouTube channel. 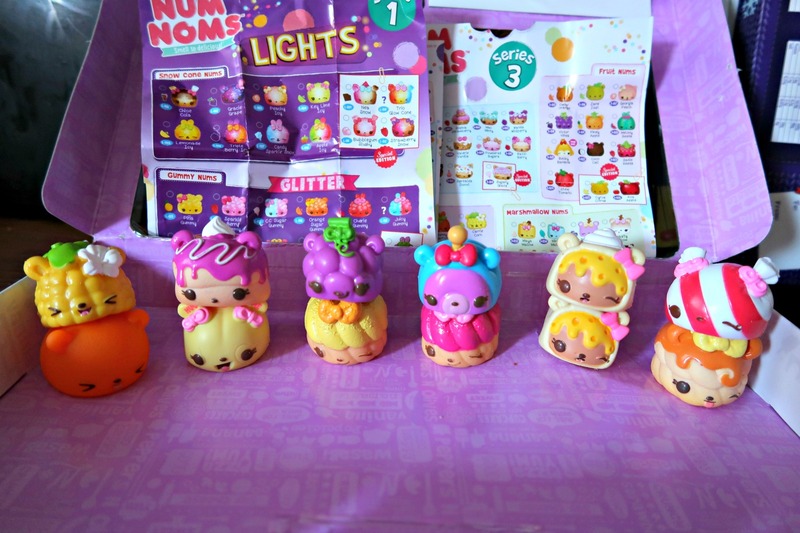 We were lucky enough to receive the brand new Num Noms Series 3 Lunch Box Deluxe Pack Style 1, 2 Mystery Packs and 1 of the brand new Series 1 Lights Mystery Pack. I immediately knew that P1 would adore these and so we wrapped them up for her birthday. A little bit cheeky I know. We filmed our video on Christmas Eve ready to share with everyone on Boxing Day. The Lunch Box Deluxe Pack contains 10 Nums. 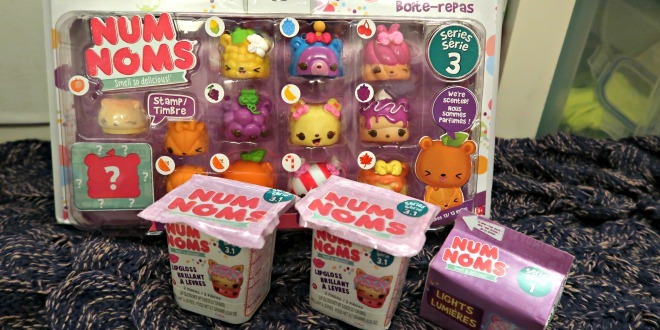 There are 6 groups to the new Series 3 Nums; Donut, Fruit, Veggie, Marshmallow, Candy and Feista Food Nums. This pack contains a Num from nearly all the groups and we even managed to collect a double with Cheesy Burrito Num from the Mystery Pack. I was really surprised at the quality of Series 3. I have found them to be thicker in texture, and the colours are bolder with extra attention to detail. They are still as super cute as ever before with their expressions. Their smells are definitely better this time around too. 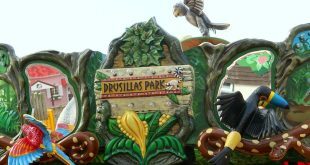 They are easier to distinguish and less plastic smelling. I loved P1s face when she opened up the Lights Mystery Pack. The Nom, which is the inner part, lights up in this brand new Series. These flash in two different colours depending on the Nom that you have, there are 10 to collect in this series. Then the Nums come in three different groups; Snow Cone, Gummy (which are glittery) and Freezie Pop Nums. 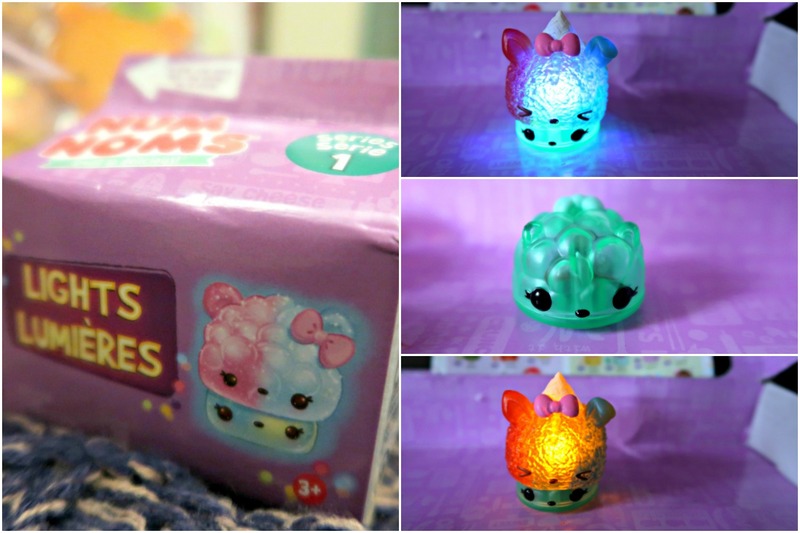 I actually love the Num Noms Lights, I think they are super funky and fun for the girls to play with. In our first ever Mystery Pack we got a Special Edition Trio Glow Cone with the Mintee Light-Up Nom underneath. And we move on to the Noms which I think are the most interesting, especially with Series 3. I really think the Num Noms crew have upped their game as these little cuties are so different to the previous series. 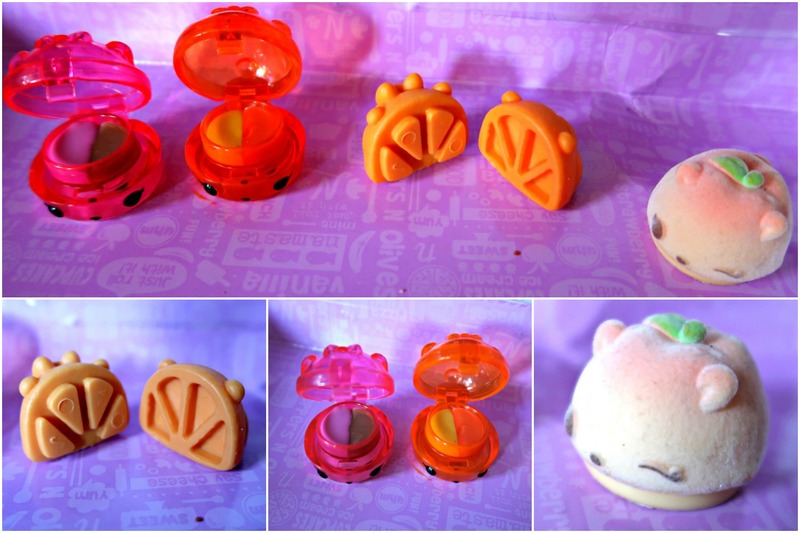 You can collect three different types of Noms in Series 3; 2 Flavored Gloss-Up Noms, Erase-It and Stamp-It. In the Erase-It Noms there are four to collect, however two of those four are actually in two parts. We received the Slice & Wedge which you can see in my video, they slot together. We also managed to find a Special Edition Stamp-It Nom, Peachy, who is actually fuzzy and so flipping pretty. Some of the Noms are also glittery which is fabulous. I must admit my favourite Noms are the two flavoured ones. Last series I am pretty sure they just came with one flavour. Having two has been a big hit in our household especially as the flavours are actually really good! 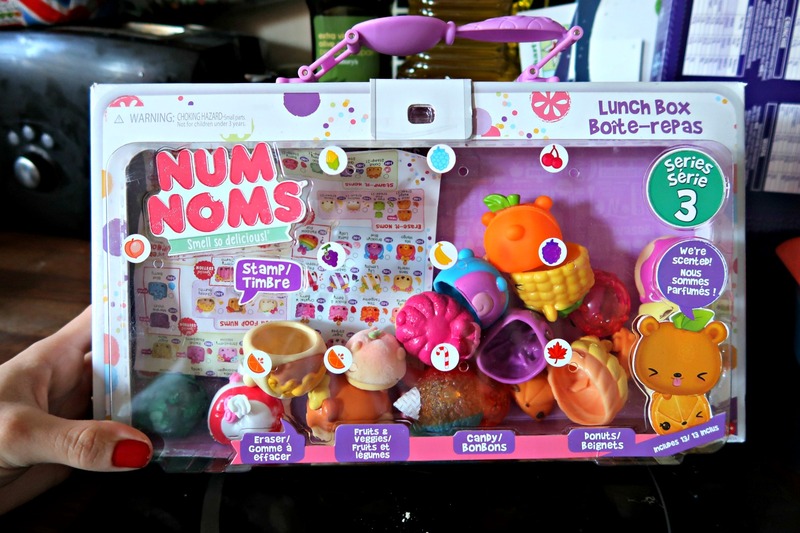 We are very impressed with the brand new Num Noms Series 3. They are now available to buy in the UK along with the new Lights Series 1. I think they are worth their money just by how cute they are. I also love that the packaging that this particular Lunch Box Deluxe Pack comes in, can double up as a carry case for your Num Noms as the fastening can be secured again after opening. Don’t forget to check out my YouTube channel for other unboxing videos and parenting related content. The new series of Num Noms are really cute, much better quality and the smells are really strong too.